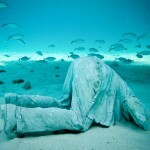 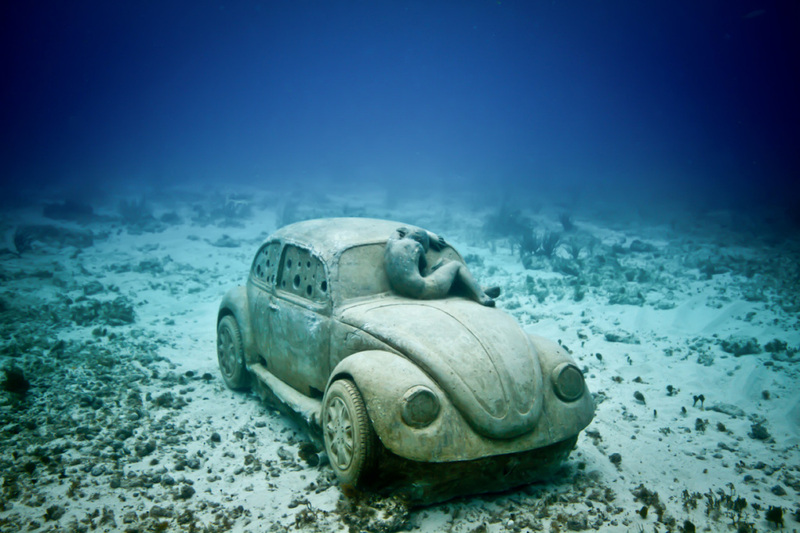 Some time ago, I wrote about the magical underwater world created by Jason deCaires Taylor in Cancun’s National Marine Park, in Mexico. 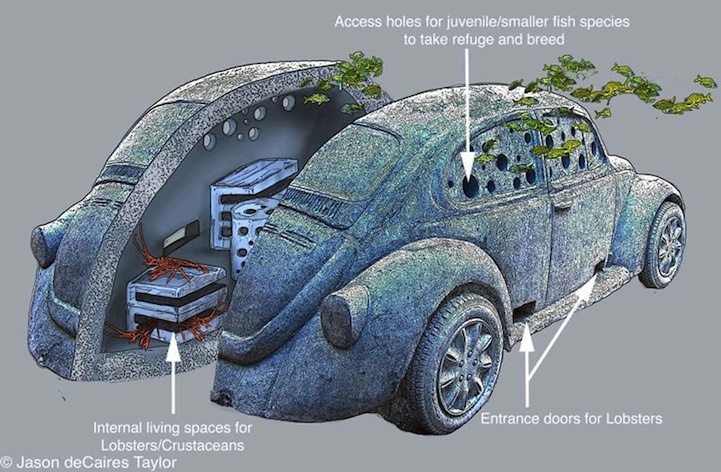 400 sculptures create an artificial home for fishes and crustaceans and everyone else needing a home after having been displaced by the humans messing up with their natural habitat. 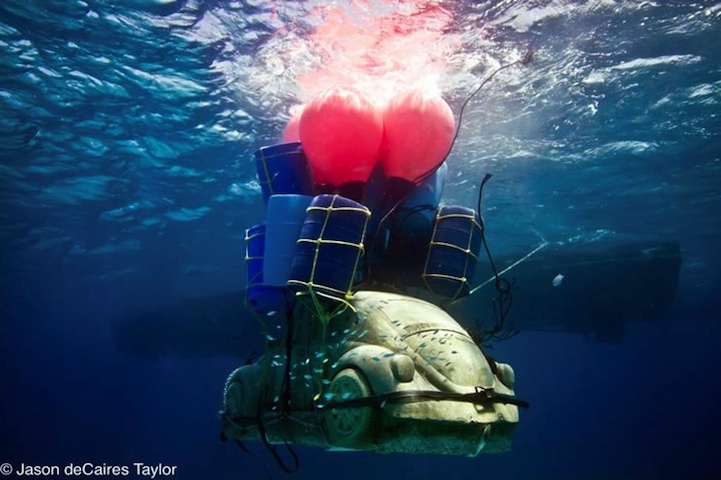 The Silent Evolution is an unusual conservation project, and the result does not only benefit nature but also creates a magical underwater world. 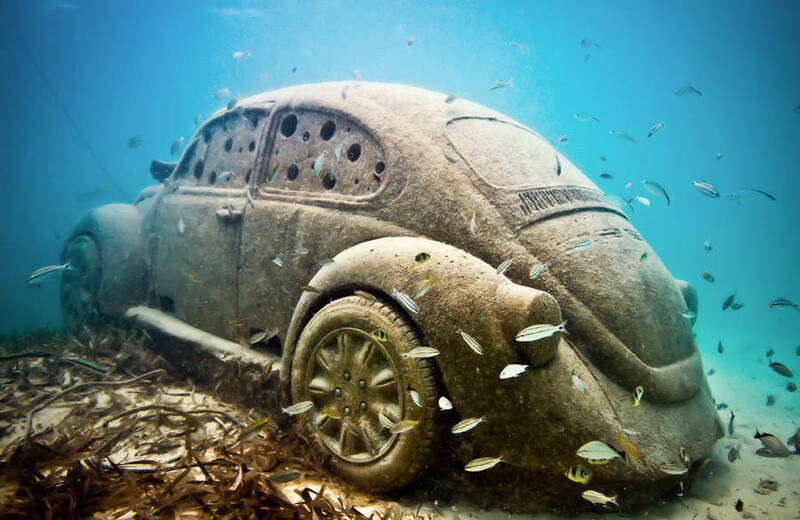 And now, a real size 8 ton Volkswagen Beetle has been added.